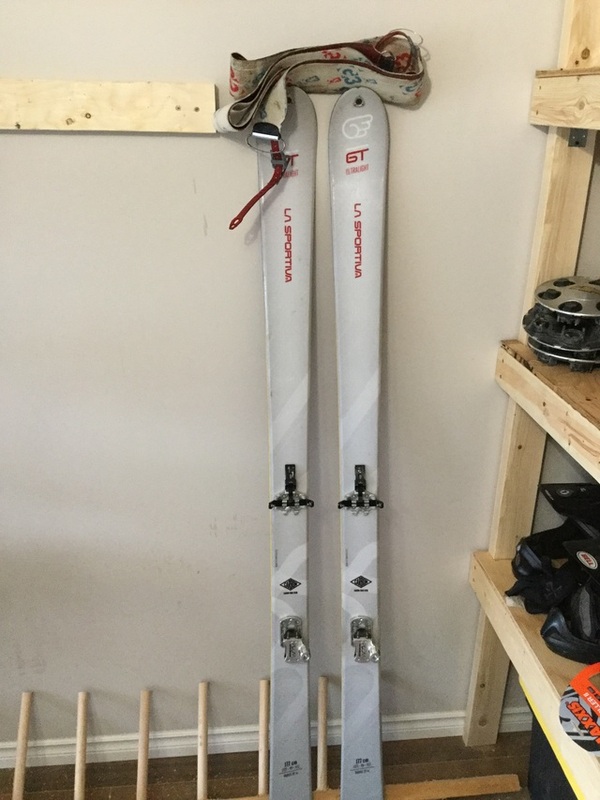 Great set of carbon touring skis with skins. Base is scratched up a bit, but nothing major. Bindings are in good condition. G3 momix skins included.